The ducklings are out of the bathtub brooder. The tub needs a good scrubbing and then it will again be available for regular bathtub use. We tried to introduce the little ones to the big ones. The big ones did not even notice them, or acknowledge them. There are lots of spots for ducklings to hide, plenty of places for to disappear. 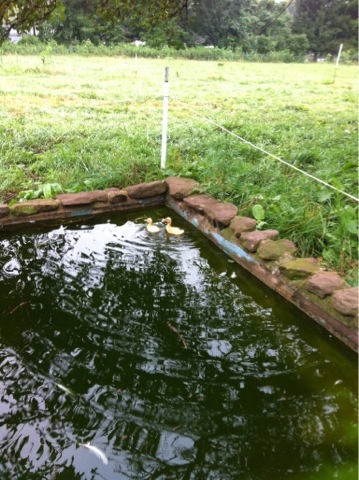 And they are able to swim in the cement pond, not just a small bowl. 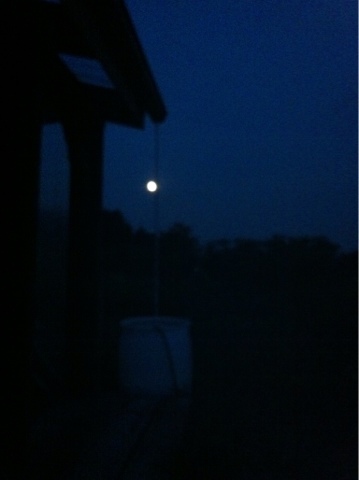 The moon is full, and felt blue out there last night.